Georgia adds another to the loss column after losing to Florida by a 24-10 score in Jacksonville. 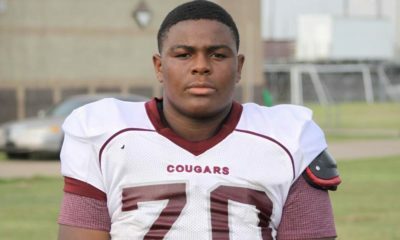 After taking a 7-3 lead early in the first quarter, it began to head downhill as the Bulldogs offense became stagnant and the offensive line was dominated by its opposition. 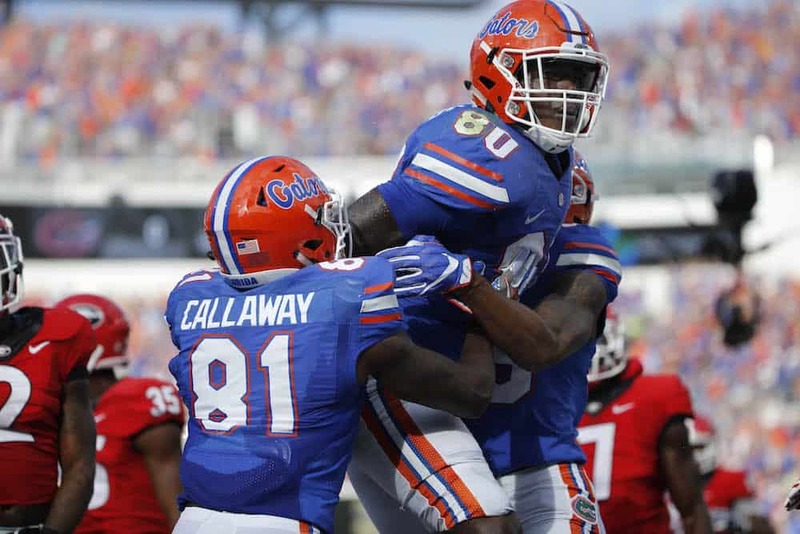 A third quarter touchdown rush by Gators’ wide receiver Antonio Callaway served as icing on the cake. 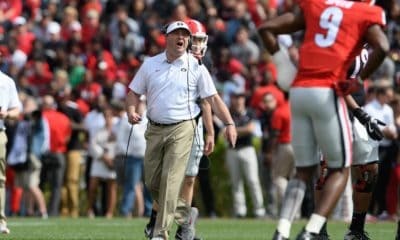 As the season now starts to conclude, Georgia is now in a fight for bowl eligibility with three games in-conference remaining as well as the in-state rivalry game with Georgia Tech. Jacob Eason: Eason’s efforts were Georgia’s only hope offensively against the Gators. 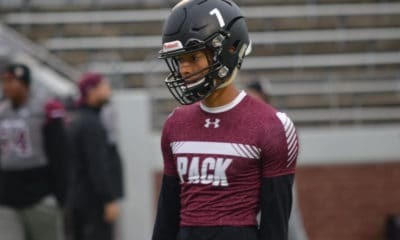 The Bulldogs were only able to muster 21 rushing yards on 19 carries, therefore the offensive load was placed solely on the freshman’s shoulders. Eason was able to respond, amassing 143 passing yards and a touchdown, going 15-33. In the second half, inability to have time in the pocket led to a decrease in productivity from the freshman. 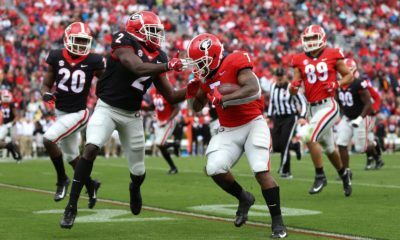 Marshall Long: Georgia’s freshman punter had been the bright spot on a below average special teams unit to this point in the season, however his efforts proved to be detrimental against the Gators. Long had five punts, and averaged 32 yards per punt. Due to his efforts, he was replaced for Brice Ramsey temporarily, however his punting average was the same. DeAndre Baker: Baker returned to the starting defensive lineup after suffering an ankle injury in preparation for the Vanderbilt game, in which Juwuan Briscoe took over in the interim. Baker was impactful for the Bulldogs on Saturday, collecting ten total tackles, a tackle for loss and a sack. Those efforts made up for his pass interference blunder in the third quarter. Jordan Scarlett: Florida’s main running back Mark Thompson was held out of action after being suspended due to marijuana possession, so they placed the load on their second running back by committee, Jordan Scarlett. Neither team was able to muster any significant production in the backfield, however Scarlett stood out for the Gators’ offense, totaling 93 rushing yards and a touchdown. The turning point in this game occurred quite early as after the Gators were given good field position after a poor Ramsey punt, Florida tacked on a score to head into the half with a 14-10 lead. From then on, Georgia had no source of offensive production with no ability to answer the Gators’ scores. Special teams: Georgia’s special teams gave Florida significant field position throughout the game, serving as a main factor for the defeat. The Gators had an average starting field position on their own 41-yard line. In addition to the minor blunders, Georgia may have had a better chance to be victorious if the punting game was more successful. The Bulldogs go on the road one last time before playing their final three games at Sanford Stadium. They’ll head to Lexington to play Kentucky, who currently stands at second-place in the SEC East, at Commonwealth Stadium. The game will be televised on 7:30p.m. on SEC Network.